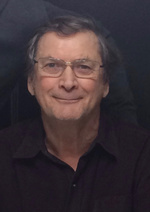 It is with heavy hearts that the family of Jacques “Jack” Almerique Déry of Cold Lake, Alberta announces his passing on Tuesday, April 17, 2018 at the age of 73 years. Jack will be forever remembered and loved by his wife of 45 years: Patricia Déry of Cold Lake; daughter: Chantelle (Ron) Déry-Wicht of Cold Lake; son: Chris Déry of Fort McMurray; three grandchildren: Braeden Wicht, Logan Wicht, Alexis Ritchie; sister: Celine Déry (Missionary Oblate Sister) of Cold Lake. Jack was predeceased by his parents: Almeric & Jeanne Déry; sister: Edesse Déry; two brothers: Emile & Thomas Déry. Mass of Christian Burial, Monday, April 23, 2018 at 2:00 p.m. at St. Dominic Roman Catholic Church, Cold Lake, Alberta with Father Joji Boyapati as celebrant. Eulogy will start at 1:45 p.m. Final resting place, St. Dominic Roman Catholic Cemetery, Cold Lake, AB. Memorial tributes in memory of Jack may be sent to ALS Society of Alberta, 5418-97 Street, Edmonton, AB T6E 5C1.